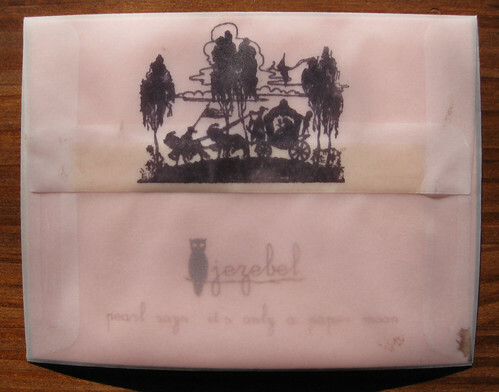 I just finished off my last Jezebel card last week, and the very next day, my fresh order with new cards arrived! This one is called "Pearl says: it's only a paper moon." 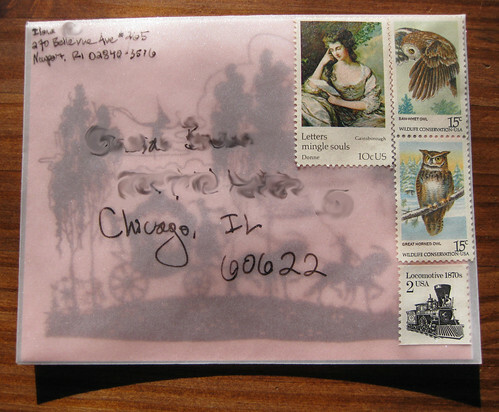 A special correspondent deserved one of the precious "letters mingle soul" stamps, plus some groovy owls. Yay vintage stamps.